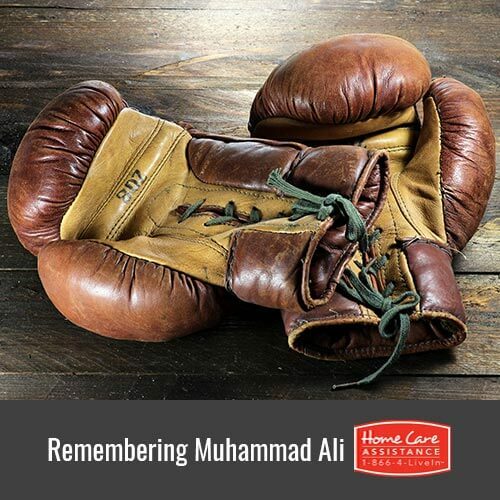 On June 3, 2016, former heavyweight boxer Muhammad Ali passed away at the age of 74 in a Phoenix-area hospital from complications associated with a respiratory illness. Although Ali faced many a fierce foe in the boxing ring, the greatest battle he ever fought was against Parkinson’s disease. In 1984, feeling unusually tired, the champ sought medical help and underwent a variety of tests. At the age of 42, the boxer was diagnosed with Parkinson’s. He made the decision to retire from the sport only a few years prior. Not one to accept defeat, Ali was determined to live his life to the fullest and became an inspiration for others living with the affliction. Ali told many that his faith was responsible for giving him the inner strength needed to actively live with a debilitating illness. Close family and friends claim that he never suffered from depression during his 32-year battle with Parkinson’s, further proof of his dedication to living a full and active life. The former boxer refused to hide away from the spotlight because of his physical symptoms. Rather, he became a poster child for Parkinson’s and aspired to raise awareness of the disease by making personal appearances and helping to raise funds for further research. During the 1996 Olympic Summer Games, visibly shaking and trembling, the champion athlete took the torch from swimmer Janet Evans and lit the famous cauldron. He was famous for his boastful statements, most notably, “I am the greatest.” Later, Ali told one interviewer that having Parkinson’s was a humbling experience and that the disease taught him that God was the greatest. In an effort to provide information and support to other Parkinson’s patients and their loved ones and caregivers in The Grand Strand, SC, the heavyweight champion established the Muhammad Ali Parkinson’s Center in Phoenix, AZ. In addition to a variety of basic information, the facility also provides patients with disease research updates and support. Despite having PD, Muhammad Ali was a champion in the truest sense of the word. Not only was he an infallible fighter, but also he was an advocate and idol to others who hope to see a cure for Parkinson’s. 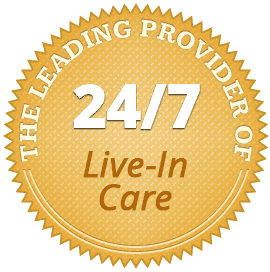 If you have a loved one living with PD, look to Home Care Assistance of The Grand Strand, South Carolina, for help. We provide comprehensive services designed to make life with PD more manageable. More importantly, our reliable caregivers will help your loved one with mobility support, cognitive exercises, and personal care assistance in the comfort of home. Call (843) 353-3105 today to learn more and customize a care plan for your loved one. What Foods Should Seniors Avoid If They Have Crohn’s Disease?